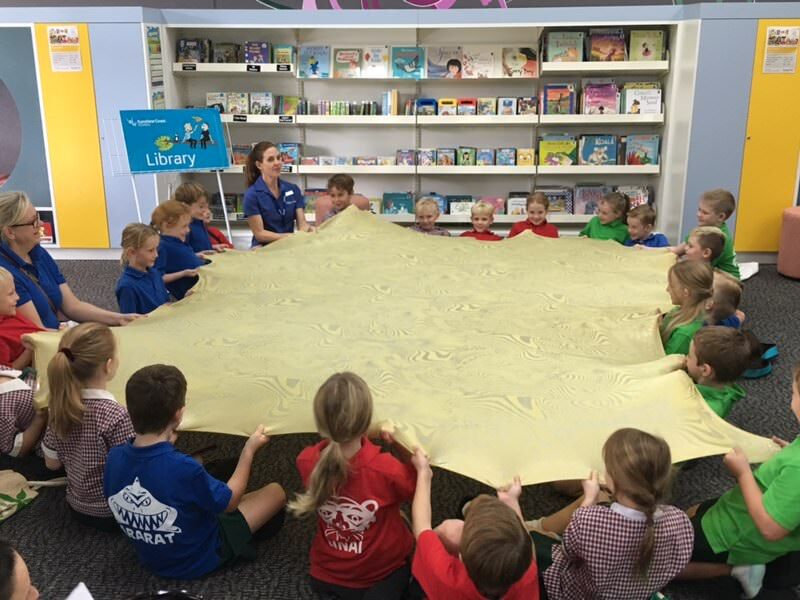 Year 2 had a joyful visit at the Beerwah library last week. Many of us became members of the library and we each received our very own card, which was a real highlight! When we arrived at the library we were amazed at the rows and rows of books. We then sat down for a storytelling session while overlooking the pond where the ducks were swimming and playing. 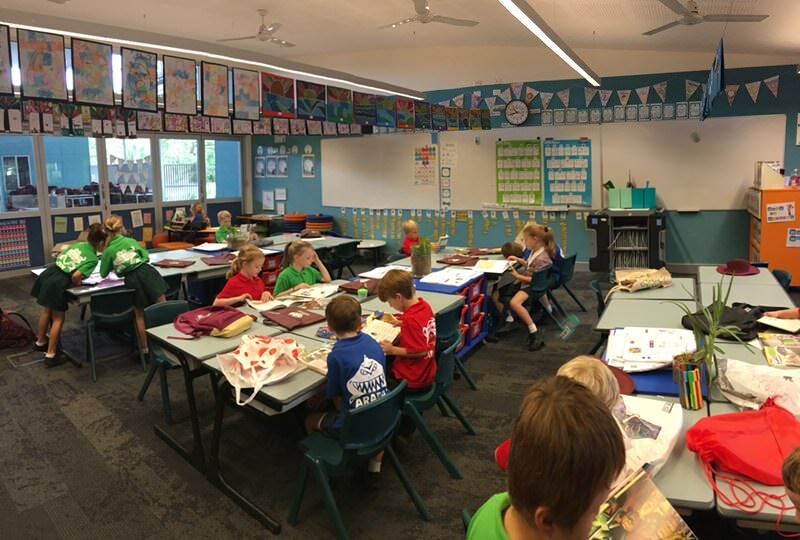 We looked around and saw all the wonderful books and the excitement grew over which books we would choose to borrow. 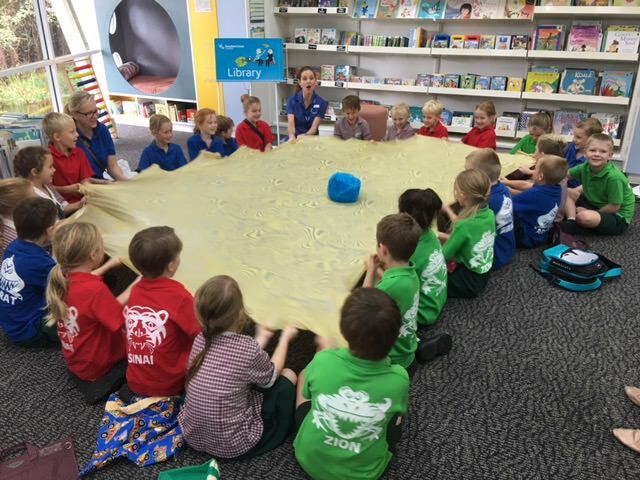 The librarians read ‘The Very Hungry Caterpillar’ to us using a felt board and props where we were all able to participate. Music started playing and we jumped up and did some singing and dancing to new and classic songs. The lovely librarians told us we were able to borrow up to 50 books! We decided against borrowing that many at one time, even though some of us were certain we would be able to easily choose that many books and carry them back to the school. After choosing our books, we were then able to scan the books ourselves! It was so cool to see the technology in action, some of us were even excited about printing a receipt! 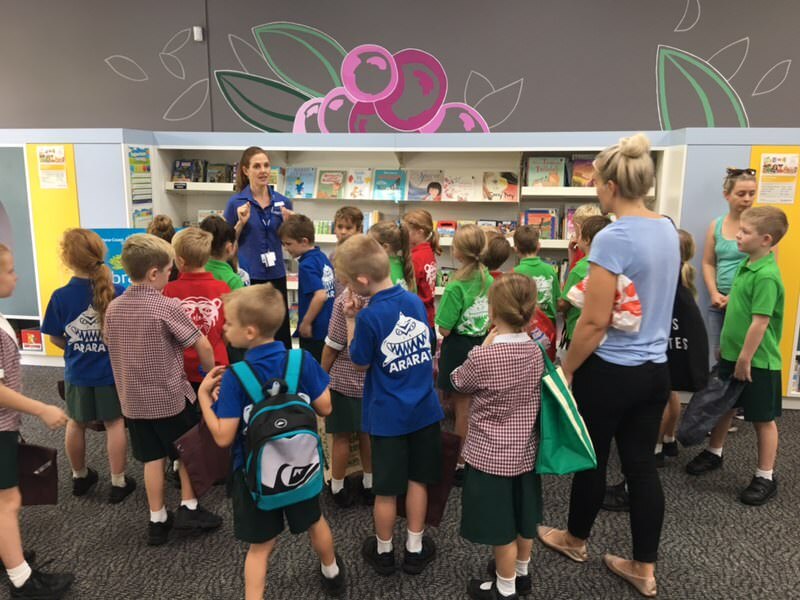 As we walked or bused back to the school many of us made plans to return to the library over the holidays as there were so many more books, DVDs and games which we would be able to enjoy! 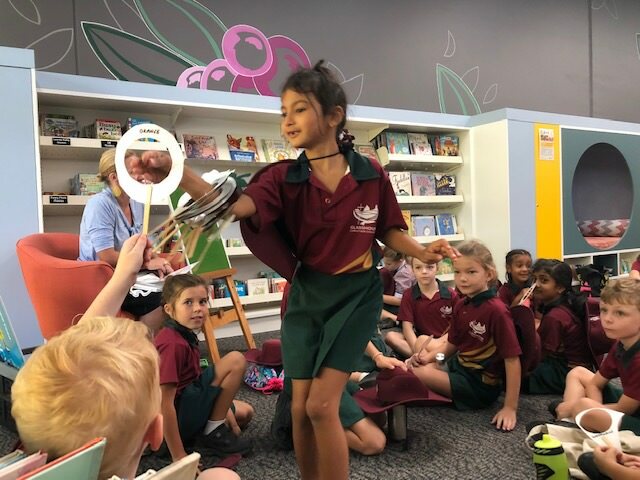 This entry was posted in Primary School News and tagged Beerwah Library, Year 2 on April 3, 2019 by sandy.